Receive Aviation Job notifications from the source! 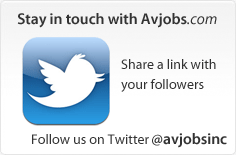 Avjobs has been serving Aviation Job Seekers for over 25 years! Where Employers and Employees Come to Meet!